Beautifully updated ground floor unit. Private and unique! Enter through your own private entrance and enjoy the distinctive qualities of this exceptional condo! Large lanai with direct ocean views! A/C in both bedrooms. All stainless steel appliances in open kitchen, 2 wall mounted flat screen TV's with an additional one in 2nd bedroom, 2 full baths, Cal king bed in Master and new Sealy posturepedic in 2nd bedroom. Fully equipped with all basic amenities. BBQ right outside your door! Swim in the solar heated pool with full sun all day long! Watch the sea turtles feed at the edge of your private lawn area. Centrally located. Close to shopping, restaurants and all beach activities. George C. from Thousand Oaks, Ca United States recommends this vacation rental. AWESOME CONDO FOR WHALE WATCHING AND TURTLE SIGHTINGS!! robert p. from Green Lake, WI United States recommends this vacation rental. Leah R. from Langley, BC Canada recommends this vacation rental. 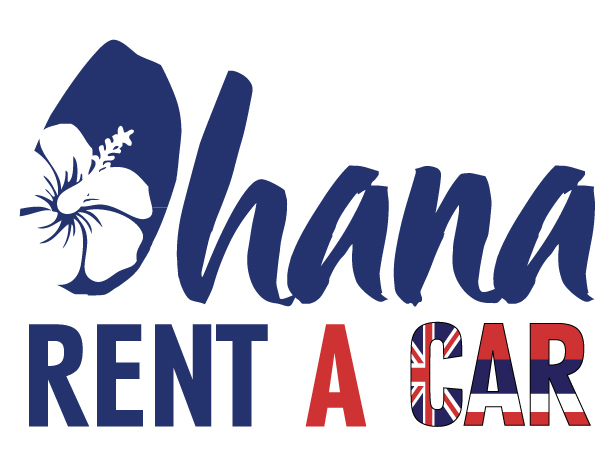 Aloha Leah, Mahalo for taking the time to write a review! So happy u enjoyed! Hope to see you again soon! Lori M. from Gaston, OR United States recommends this vacation rental. Killer place, ocean views and whales jumping right out front! Keiko T. from Temecula, CA United States recommends this vacation rental. Aloha, So glad you enjoyed! Brian W. from Lahaina, HI United States recommends this vacation rental. A guest from Newport Beach, CA United States recommends this vacation rental. Mahalo and so glad you enjoyed your stay! Love to hear you enjoyed! See you next time! Jan K. from Petaluma, California United States recommends this vacation rental. Mahalo and hope to see you again! Many beaches within minutes! Not too many properties along here have beach access. Mainly large resorts... Glad you enjoyed the stay otherwise and hope to see you again! Great stay, cut short by hurricane! A guest from Sonora, CA United States recommends this vacation rental. Please be sure and come back and see us! Kirk S. from Auburn, WA United States recommends this vacation rental. Kathryn W. from lahaina, HI United States recommends this vacation rental. Keith Y. from Carmichael, CA United States recommends this vacation rental. Susan P. from Lahaina, HI United States recommends this vacation rental. MaryEllen R. from Middletown, NY United States recommends this vacation rental. Randall M. from Santa Ysabel , CA United States recommends this vacation rental. Dona D. from Gresham, OR United States recommends this vacation rental. Nate P. from Lahaina, HI United States recommends this vacation rental. Tad J. from payson, ut United States recommends this vacation rental. So glad you enjoyed yourselves! See you next time! Tammy B. from Puyallup, WA United States recommends this vacation rental. Aloha, So sorry for the AC in bedroom. It has been replaced. Hope to see you again soon! ILYA M. from Santa Clara, CA United States recommends this vacation rental. Staying in this unit really made my trip to Maui one to remember. Everything was extremely clean, the view was spectacular and the location could not be better. The only issue is the fact that we could not swim right from the property in the ocean, but there are awesome beaches within a 10 minute drive in either direction. Some people stated that you could snorkle in the ocean directly in front, but it is very slippery walking down to that area and the rocks tear up your feet, so I would think twice before going down there unless you have water shoes. The kitchen was very useful and the rooms had amazing silent and powerful ceiling fans that made sleeping a dream. I highly recommend staying here. Mary R. from Albuquerque, MN United States recommends this vacation rental. This was an amazing place to stay; I would highly recommend it to anyone. We were so impressed with everything! Lonnie was very helpful in getting everything set up and worked with us whenever we had a question. I would not hesitate to stay here again. We had so much fun watching the turtles from right in front of our condo (they were there most of the time) and the sunset every night was AMAZING! We missed our sunset one night because we were at a luau (the feast at lele, and I would recommend NOT going to that one, bad food bad service) we were all disappointed because the sunset at the condo was so much nicer. The condo is located in a perfect spot, made getting to all the other attractions very easy but it is also very private. We spent every morning in our pajamas in the yard-watching turtles. We even fished from the yard. If I were to give advice to someone else going to stay there it would be to not buy anything except food, the condo has everything else you need (cooking utensils, towels, boogie boards, beach chairs, the list goes on and on). The only down side to this condo is the 2nd bedroom is a little less private than one might want. It has louver doors that separate the living room from the bedroom but we quickly got over that. The pictures online of this unit do not do it justice, it is much bigger than we expected and its layout is perfect. In fact the neighbor to the south of us came over and asked if her designer could come over and look at it because she wanted her unit updated just like it. Alana E. from Beaverton, OR United States recommends this vacation rental. Melody K. from Wabeno, WI United States recommends this vacation rental. Judith C. from York, Maine United States recommends this vacation rental. Connie B. from Mercer Island, WA United States recommends this vacation rental. Yijun H. from Shanghai, Jingan China recommends this vacation rental. A guest from Warman, SK United States recommends this vacation rental. The Best Hawaiian Vacation ever! A guest from Tacoma, WA United States recommends this vacation rental. Scott L. from Lahaina, HI United States recommends this vacation rental. A guest from Calgary, Alberta United States recommends this vacation rental. Karen B. from Napier, Hawkes Bay New Zealand recommends this vacation rental. 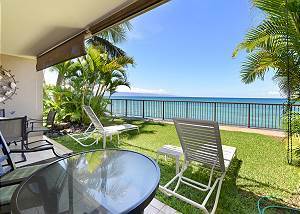 Hugh T. from Lahaina, HI United States recommends this vacation rental. A guest from Corte Madera, CA United States recommends this vacation rental. A guest from Madison, WI United States recommends this vacation rental. Janice L. from Delta, British Columbia Canada recommends this vacation rental. Lori C. from Brighton, Colorado United States recommends this vacation rental.